We’re in Joliet, Illinois at a Motel 6. Just got 2 lightbulbs, a hand towel and a new tv cable… no wonder the price in the little coupon booklet was so low. 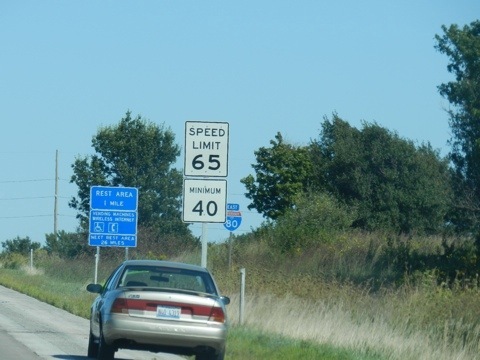 The speed limit signs give just one number (mostly 65 or 70 in Illinois, 75 in several previous states) and also a minimum of 40 (some places 45). There’s nothing different for trucks or towing vehicles! Gas prices have been from $3.45 to $3.79 mostly and, strangely, the Regular 87 is $.10 more than the Plus 89. 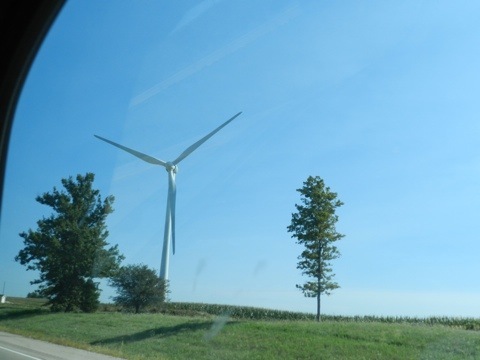 Nebraska was relatively flat – Iowa was gentle rolling hills and small farms – really pretty. But now that we’re hitting city areas and semi-congestion, we’re reminded of how spoiled we’ve gotten living without traffic. There are spots of construction where the speed decreases to 65, 55 or 45 but we didn’t get delayed anywhere. I realized today that we saw very few other RVs, going either way – don’t know why. All we Seniors are still usually traveling. 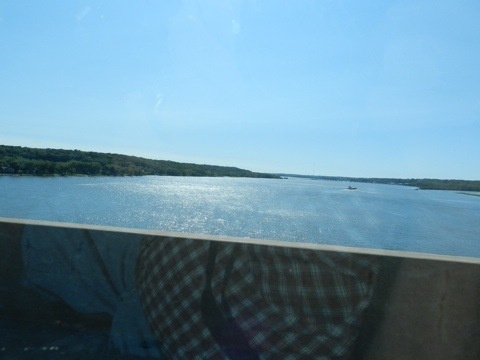 0084 Crossing the Mississippi River on I-80. 0103 Saw lots of this sized windmills and several semi trailers with blades being transported west.